You will find below the horoscope of Lisa Lopes with her interactive chart, an excerpt of her astrological portrait and her planetary dominants. Horoscopes having the same aspect Venus square Mars (orb 0°18'): Jodie Foster, Demi Lovato, Kate Moss, John Travolta, Sean Penn, Aleister Crowley, Serena Williams, Bruce Springsteen, Rob Kardashian, Swami Vivekananda, Albert Camus, Bill Maher... Find all the celebrities having this aspect. Horoscopes having the same aspect Mercury square Mars (orb 1°08'): Pamela Anderson, Mick Jagger, Marilyn Manson, Avril Lavigne, Sean Connery, Warren Buffett, Stephen Hawking, Hugh Grant, Louis XIV of France, Pope Benedict XVI, Anthony Bourdain, Sylvia Plath... Find all the celebrities having this aspect. Celebrities born the same day: Shiloh Nouvel Jolie-Pitt, Alain Souchon, Jamie Oliver, André 3000, Louis-Ferdinand Céline, Christopher Lee, Lily-Rose Depp, Joseph Fiennes, Henry Kissinger, Paul Bettany, Vincent Price, Siouxsie Sioux... List of all the celebrities born on May 27. Celebrities being the same height: Lady Gaga, Avril Lavigne, Kat Bjelland, Nicole Richie, Carrie Fisher, Christina Ricci, Nelly Furtado, Kristen Bell, Ellen Page, Cole Sprouse, Hayley Williams, Zoë Kravitz... List of all the celebrities being 5' 1" tall. Celebrities clicked on in real-time: 576,845,835 times. Lisa Nicole Lopes (May 27, 1971 – April 25, 2002), a rapper/singer/actress, also known under the stage name of "Left Eye", was a member of the popular R&B and hip hop group TLC. In addition to hit songs like "Waterfalls" with TLC, Lopes also did some solo performing. She was considered by some fans as the creative talent behind TLC and contributed her own self-written raps to many of TLC's popular singles, including "Waterfalls" and "No Scrubs". Lopes was also a self-taught keyboardist and, by way of a Beethoven piano piece, displayed those talents during her solo spot on TLC's headlining concert performances (featured in a pay-per-view broadcast of TLC's FanMail Tour in the spring of 2000). Here are some character traits from Lisa Lopes's birth chart. This description is far from being comprehensive but it can shed light on his/her personality, which is still interesting for professional astrologers or astrology lovers. 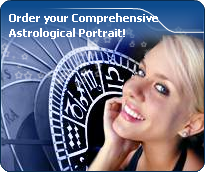 In a matter of minutes, you can get at your email address your astrological portrait (approximately 32 pages), a much more comprehensive report than this portrait of Lisa Lopes. Lisa Lopes, the diurnal South-eastern quadrant, consisting of the 10th, 11th and 12th houses, prevails in your chart: assertion and goals achievement are at the centre of your concerns. You are very keen to implement your dreams and your plans. You achieve your ambitions as soon as possible, whether through an active social life, highly charged friendly relations, or an urge to take actions in order to reap - in the eyes of the world, of course - the rewards of your dynamism. It is likely that spirituality or humanitarian actions are part of your motivations, sometimes at the price of some degree of isolation. Lisa Lopes, Fire is dominant in your natal chart and endows you with intuition, energy, courage, self-confidence, and enthusiasm! You are inclined to be passionate, you assert your willpower, you move forward, and come hell or high water, you achieve your dreams and your goals. The relative weakness of this element is the difficulty to step back or a kind of boldness that may prompt you to do foolish things. Cheers for communication and mobility, Lisa Lopes! The predominance of Air signs in your chart favours and amplifies your taste for relations and for all kinds of short trips, whether real (travels) or symbolic (new ideas, mind speculations). You gain in flexibility and adaptability what you lose in self-assertion or in pragmatism. The emphasis is on succedent houses in your chart, namely, the 2nd, 5th, 8th and 11th houses, Lisa Lopes: this configuration usually endows a personality with affective and sensitive qualities. Obviously, to the detriment of self-confidence or self-assertion, but your heart qualities may be very important. These houses also favour realization. Time and patience are part of their characteristics. However, they are only indications and you must include them in the rest of your chart in order to see whether they are validated or not! After this paragraph about dominant planets, of Lisa Lopes, here are the character traits that you must read more carefully than the previous texts since they are very specific: the texts about dominant planets only give background information about the personality and remain quite general: they emphasize or, on the contrary, mitigate different particularities or facets of a personality. A human being is a complex whole and only bodies of texts can attempt to successfully figure out all the finer points. Affectivity and intuition are very developed, Lisa Lopes, and you are very sensitive to your environment. You “feel” atmospheres, moods and other people's emotions and when you capture negative influences, a feeling of ill-being immediately overwhelms you, all the more so because your lively imagination may destabilize you as it amplifies your receptiveness. Your nature is anxious and you tend to worry for your entourage. You strive to offer them a reassuring family atmosphere, the much needed comforting and warm sort of cocoon where you can laze around, at will. Because you care so much for your family, they may think that you are intrusive and that you try to rule their life through subtle affective blackmail. Trust them... and also learn to have more confidence in yourself! Your mind is calm and balanced; even though you assimilate slowly, your memory is remarkable. Your judgment is based on reflection and reason and draws on past experiences. Lisa Lopes, you are a good adviser, a reliable person whom people can confide in discreetly. You are full of good sense, cautious, methodical and disciplined and you are able to carry many good projects to a successful conclusion. You are very opinionated and determined in your actions. However, your tendency for intolerance and prejudices may offend your entourage. They wish that you exercised more flexibility instead of systematically refusing what cannot be immediately checked. You usually express yourself with a lot of charm and this is what allows you to get people to better accept your well-established habits. There is so much voluptuousness and so much charm in your personality, Lisa Lopes! You are what is called a “nature” and when confidence is established, slowly but steadily, you become deeply attached to your partner and you can be filled with passion. It may take months, even years, but you are so generous and affectionate that, in most cases, your relationship has many chances to blossom, with time. You are very physical and sensual and you are very keen to delight in your intimate moments. This aspect of your amorous relationship usually contributes to its sustainability. Everything seems idyllic, Lisa Lopes. It would be so if your jealousy and your possessiveness did not get started simultaneously with your powerful feelings. But you have so many assets, so be content! Lisa Lopes, the way you take action is quite paradoxical: you carry out your business perfectly well when you are in a teamwork with collective goals, but you do so in your original and individualistic manner: this is your main peculiarity. Your concern is to express your originality and your specificity while remaining immersed in a human community. You are curt and not very flexible. You are inventive and you easily fight authority, just because its very principle runs counter to the sacred values of freedom, independence and, above all, the absence of constraint. Competition does not appeal to you. You prefer to be useful and to conquer new territories of the humanitarian or the intellectual type. On the sexual plane, you are also often original and surprising regarding your fantasies and your tastes. This text is only an excerpt from of Lisa Lopes's portrait. We hope that it will arouse your curiosity, and that it will prompt you to deepen your knowledge of astrology, as well as to visit and use the wide range of free applications at www.astrotheme.com. Your Life Path is influenced by the number 5, Lisa, which indicates changing and off the beaten track destinies. Your activities are varied and placed under the sign of adaptability, and multiplication of resources. More than anyone else, you need to enhance your learning capacities and the broad-mindedness. You must cope as well as you can with changes and transformation occurring in your life. Indeed, Life Path 5 brings about destinies which are prone to twists and turns, as well as to upheavals. Therefore, your life's main orientation may vary considerably at certain stages, and if your destiny is that of adventurers whose course is fraught with obstacles, it may also turn you into an exceedingly unstable person through lack of nuance. You accumulate experiences and enrich your know-how with each crucial period. Your adaptation skills enable you to go through all the successive stages of your life without ever being destabilised by new situations.